Finding you have a leaky roof in Las Vegas is not as unusual as you might think in our mostly dry climate. We have high winds and searing heat, both of which can damage roofs, so that when it does rain (and it rains hard here), water is able to penetrate the normally protective seal that your roof provides and cause water damage to the interior of your home. But what are the causes of a leaky roof, how do you find the leak and what can you do to prevent leaks from happening? Usually a roof leak is spotted when visible moisture stain appears in the form of circular stains on your ceiling or a stain on the wall or in the corner of the room. You may spot pooling in the garage or notice dripping water during a rainstorm. In identifying the source of a roof leak, it’s important first to eliminate other causes such as leaky or burst plumbing, air conditioners, or even pests. As soon as you notice a stain or drip, check the area around the visual leak to eliminate other sources of the problem. If you have access to your attic, measure the location of the stain in relation to the walls, then apply those measurements in the attic to locate the area of the stain. Look around as water may travel before settling into the stain area. If no plumbing or other items are nearby or appear to be the cause, the roof is your likely culprit. 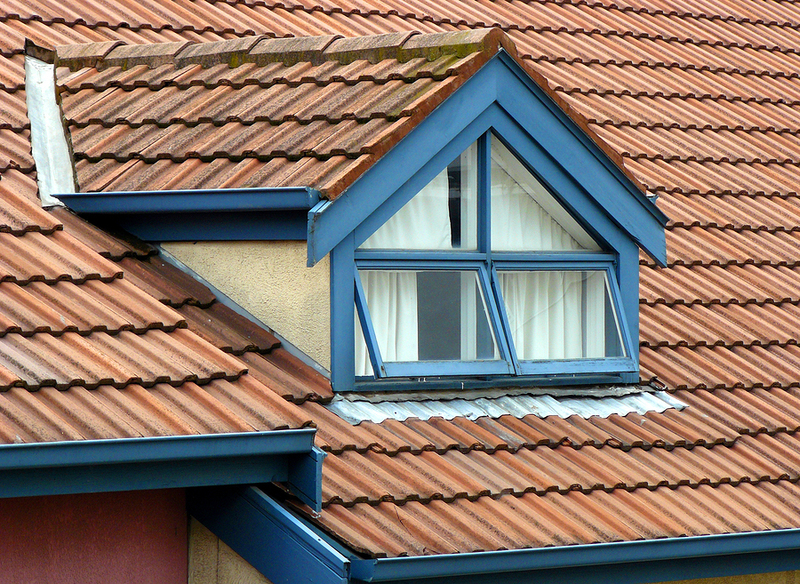 Before attempting to climb onto your roof, it is best to call a roofing professional. Not only is accessing the roof dangerous, but a professional will know what to look for and will be able to more quickly pinpoint the source of your problem and apply the solution. Roof leaks can happen in many ways, most commonly in places where there is a break in the roof membrane and the protective flashing (the metal used around chimneys, skylights and vents to overlay the underlying gap in the roof materials) has been moved, warped or broken. Flashing failures can be due to strong winds or rains, poor installation, weak materials or direct damage. On an older roof, flashing may become loosened or detached from deteriorating asphalt tiles or broken ceramic tiles. Other causes of roof leaks can be clogged gutters and drains full of debris backing up so that water can’t drain properly. 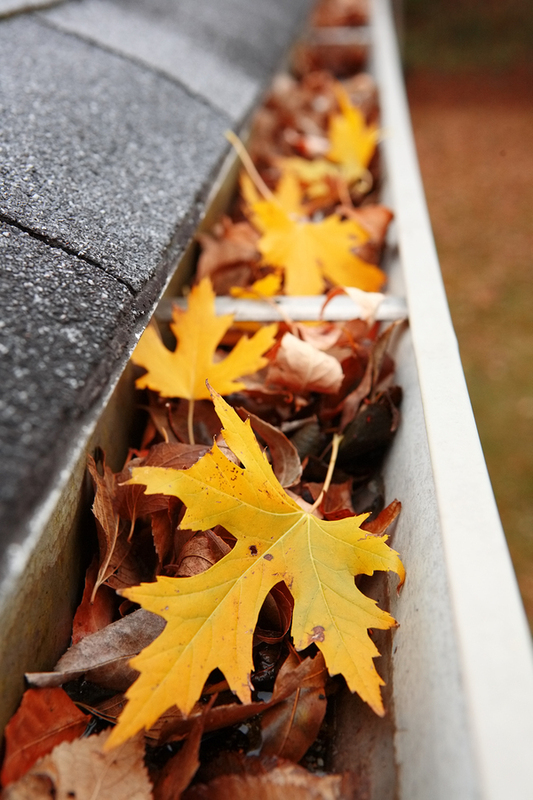 It’s a good idea to inspect your gutters and drains at least annually and clean out any debris that has accumulated before it can cause damage. A leak can occur wherever there’s an opening on the roof. Holes in the roof, such as one left after removal of an old TV antenna or an old HVAC system, can be a problem. These should be inspected and closed off by a professional roofer. Other roof components can fail as well. The metal ridge cap along the top peak of the roof can be a source of leaks. Roof fasteners, boots (rubber seals), screws, gaskets and metal plates may loosen, leaving the roof membrane exposed or damaged. 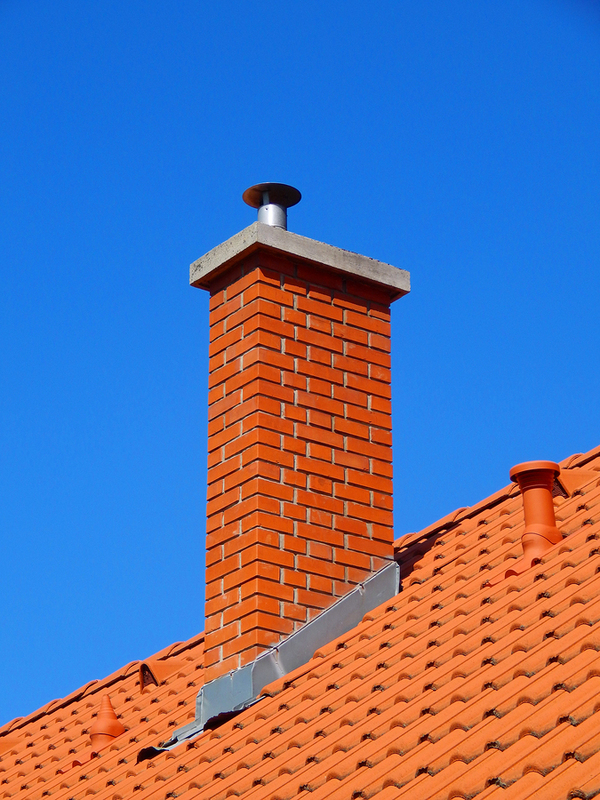 Areas around vents, chimneys, skylights and dormers are particularly vulnerable. Have your roof hardware inspected regularly to look for problems with the hardware in these area. Strong winds in Las Vegas may cause loose or broken shingles or tiles to move or fall off. This exposes the waterproof membrane underneath to the elements, subjecting it to damage and breakage with the result being leaks into the living area of the home. Check your roof regularly for tiles that are broken, missing or out of place and have them repaired immediately to avoid further and more costly damage. Do you have a skylight? As much as we enjoy them, skylights can be a problem, particularly if they were not properly installed to prevent moisture leaks. Older skylights experience deterioration of seals over time which will result in letting water into the home. Have your roofer check your skylight to be sure it is safely installed and in good condition. Dormers contain metal flashing that protect the broken roof line where the dormer juts out and these areas can develop leaks as well. Once moisture gets through the roof from gaps caused by any of these occurrences, mold damage can occur if the leak is not caught and dealt with early. Mold can cause expensive damage to the structure of the home, walls and ceilings and result in health hazards for the home’s occupants. How old is your roof? Older roofs are subject to the failures of aging since they’ve incurred damage from weather conditions over the years, particularly our strong sun, winds and rain. The lifespan of a roof is a factor of materials, quality of workmanship, environment and regular care and maintenance. 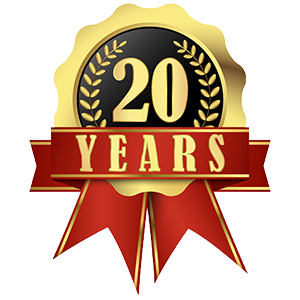 Asphalt tile roofs have a lifespan of 20-30 years in Las Vegas. If yours is getting to that age, you should have it inspected annually and, even if it is not leaking, begin to plan for a reroofing that will protect your home and increase its resale value. Be careful about selecting your roofer and roof materials. Lower priced roofs may be built with lower quality tiles and only a single membrane layer beneath the tiles that can allow leaks to occur more easily. It’s important to ask about the quality of the materials and the installer’s experience and knowledge when it’s time to replace your roof. In Las Vegas, our more common ceramic tile roofs, if they’ve been properly installed and meet the minimal roof slope standards to avoid wind uplift of your times, generally take the heat and wind well. Their life span is 50 years or more. However, tile roofs are still subject to damage and of course quality of workmanship plays a factor. Fortunately, if the roof is in generally good shape, tile roof repair is relatively inexpensive, as repairs can be localized and generally involve replacing only the affected tiles. Metal roofs fare very well in our climate and are generally solidly protective against leaks and damage. They require little maintenance, but should be inspected regularly, including removal of accumulated debris around gutters and drains and inspection of any seals and openings. The best solution to costly damage from roof leaks is to prevent them with regular roof maintenance. Maintaining your roof with regular inspections and care is an inexpensive way to insure it has a long life and it will save you money in the long run. Maintenance usually entails an annual inspection for damage and debris. You can do your part to insure you have a long-lived healthy roof by performing regular cleanup and visual inspections, and calling your roofer right away when you spot possible trouble such as broken tiles or loose hardware. When roof leaks happen, that’s a sign it’s time to pay attention to your roof. In most cases, a quality professional roofer can repair the leak and help you get your roof back in good shape for many more years of protecting your home.